You may recognize the name Eric Lundgren. In 2017, he was all over the news for creating a $13,000 DIY electric car with a 380-plus mile range, easily besting a Tesla. Today he’s on his way to jail. Lundgren has always been a tinkerer. 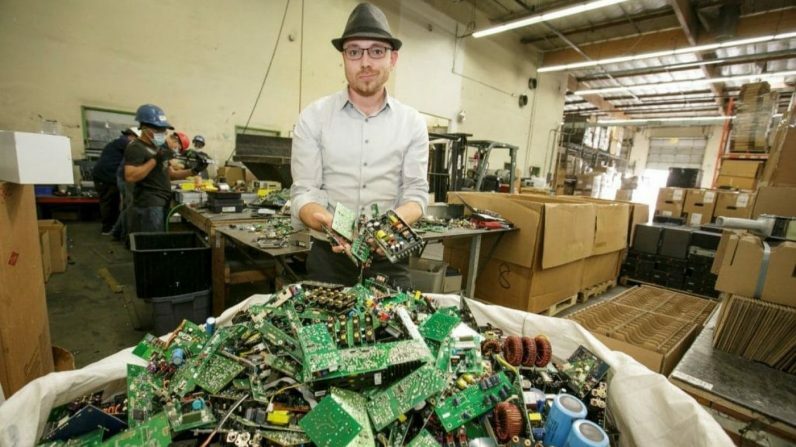 His LA-based company specialized in managing e-waste from common electronic devices like mobile phones and PCs. He’s devoted thousands of hours to recovering batteries, motors, and circuits from discarded items reuse in wheelchairs, vehicles, or even other PCs. At 19, he started a company to refurbish and sell computers given to him by corporate clients like Dell, Asus, and Lenovo. When a PC is sold (or scrapped) the Windows license accompanying it is legally transferrable to the new owner, making restoring non-working PCs and reselling them a relatively easy process. With an authentic Windows license, all it takes is installing the operating system from a restore disc and plugging in the license key to prove it’s a legitimate install. The license key was often displayed on a sparkly sticker at the side (or bottom) of a PC. The certificate of authenticity, and the license key, is all you’d need to legitimately install a working version of Windows on a non-running device. Those that didn’t have the sticker, Lundgren told the Los Angeles Times, he scrapped, selling the parts to be used in other machines. But it’s here that Lundgren ran into trouble. After compiling some 28,000 restore discs — the same discs that used to come included with a purchased PC, at least before manufacturers started doing away with optical drives — Lundgren attempted to ship them to his partner, for use in restoring non-functioning devices. After Microsoft and Dell caught wind of the plan, Lundgren was issued a 21-count indictment seeking $420,000 in lost sales. Microsoft totaled the amount by figuring each disc to have a value of $20, with an average profit of 75 percent on their sale. In essence, I got in the way of Microsoft’s profits, so they pushed this into federal court on false pretense. [Microsoft program manager Jonathan McGloin] testified that a free restore CD was worth the same price as a new Windows operating system with license. …This was false and inaccurate testimonly provided by Microsoft in an attempt to set a precedent that will scare away future recyclers and refurbishers from reusing computers without first paying Microsoft again for another license. …Anyone successfully extending the life cycle of computers or diverting these computers from landfills for reuse in society is essentially standing in the way of Microsoft’s profits. It’s worth mentioning that although the number of CDs is eye-popping, each is worthless on its own. Without an authentic license key, the disc is unable to install a working version of Windows on any of the refurbished machines. Lundgren called an expert witness, Glenn Weadock — a software expert that once testified on behalf of the US government in an antitrust case against Microsoft — to explain this to the court. Weadock was asked, “In your opinion, without a code, either product key or COA [certificate of authenticity], what is the value of these reinstall discs? “Zero or near zero,” he replied. Still, the judge in the case determined that Lundgren’s restore discs had a value of $700,000 before sentencing him to a 15-month prison sentence and ordering him to pay $50,000 in fines. Lundgren is currently appealing the decision.